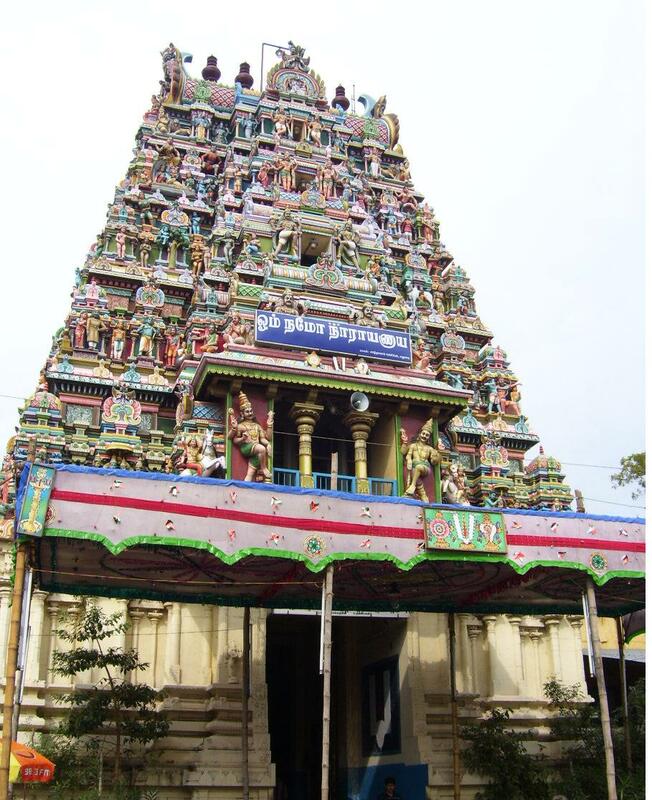 Koodal Azhagar Koil is a famous Hindu temple dedicated to Lord Vishnu located in the center of the city of Madurai,Tamil Nadu, India.It is one of the 108 DivaDesam Dedicated to Lord Vishnu. Koodal is another name for Madurai and Azhaghar means The beautiful one, in Tamil. 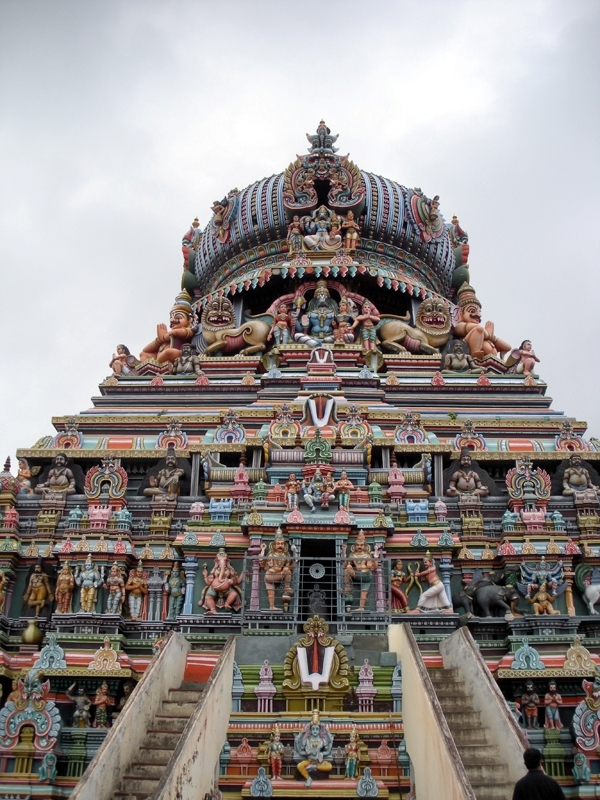 The temple is an ancient one and very close to the famous Meenakshi Amman Temple. It is one of the 108 divyadesams the holy abodes of Vishnu. 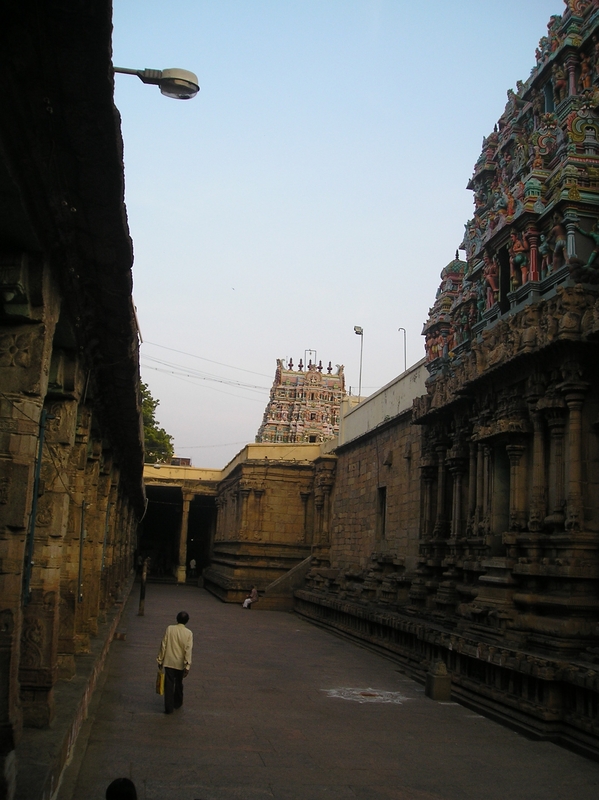 This sthalam is situated in Madurai, which is famous for all the temples found here. And, Madurai is famous for the Meenakshi Amman temple. All the Devas of the Lokam and Munivar came all together for the Meenakshi Amman to Sivaperumaan in this sthalam and because of this, the sthalam is called as "Koodal". Koodal means all of the persons (or) group of people coming (or) joining together. 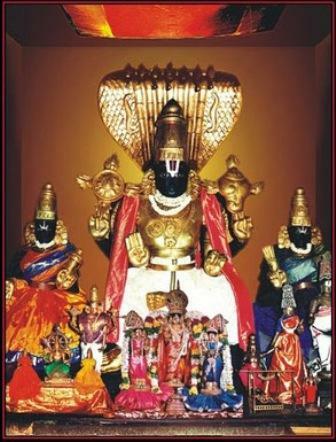 Sivaperumaanwho is the entire structure of Gnanam, and Sakthi are married to each other, and the Paramathma, Sri Emperumaan is assisting and helped them in getting married. Gnanam, sakthi, Beauty, Bhakti and wealth are joined together on the same place and they give their Kalyana seva to the entire world. When Konedu Maaran Sri Vallabha devan was ruling the city, Periyalwar on seeing the beauty of Azhagar, he sang the great, "Thiruppallanndu" in praise of Azhagar. 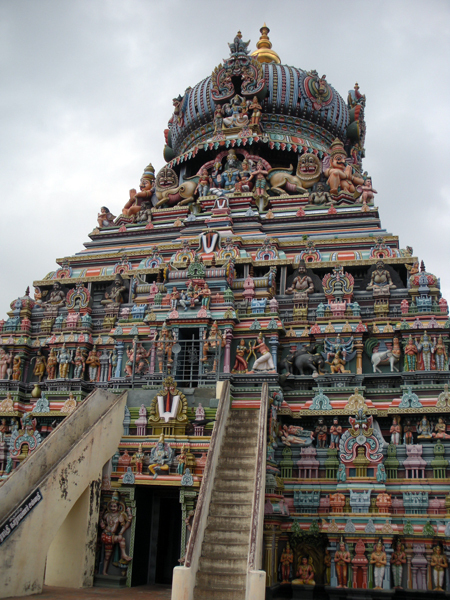 This temple has the great Raja Gopuram, which is very big with lots of architectural works found in it. In the first pragharam there is a separate sannadhi for Madura valli Naachiyaar. Meenakshi Amman, who is made up by Maragatham and to remember her, this sthala thaayar is named as "Maragadha Valli". On the North side, a separate sannadhi for Aandal Naachiyaar is found. This sthala perumal is found in 3 thalam (ie) in the bottom thalam, he is found as Koodal Azhagar in Veetriruntha kolam, in the second thalam (middle one) he is found as "Andhara Vaanathu Empiraan in Kidantha kolam and in the Upper thalam, he is found as Sooriya Narayanan in Nindra thirukkolam.The perumal who is found in the bottom thalam is also called as "Viyooga Soundararajan" and he is the Utsava Moorthy of this sthalam. Parimala Ranganatha Perumal Temple , Indaloor, May..
Varadharaja Perumal Temple - Thirum..
Varadharaja Perumal Temple - Thirumanikkoodam, Thi..
Sri Varadaraja Perumal Temple, West Mada Street, K..